What animal kills the most humans? Not sharks. Not lions. Not elephants. Not crocodiles. Not humans. It’s mosquitoes. Diseases spread by mosquitoes trigger millions of deaths every year. As many as 2.7 million people die annually from malaria alone, according to the World Heath Organization (WHO). “Of all disease-transmitting insects, the mosquito is the greatest menace, spreading malaria, dengue and yellow fever, which together are responsible for several million deaths and hundreds of millions of cases each year,” according to the WHO’s most recent World Health Report. For years, the American public brushed off mosquitoes as little more than biting annoyances. Then West Nile virus (WNV) hit the United States in 1999. During the next 15 years, more than 36,000 cases of WNV were reported in the country. Of those cases, more than 15,000 resulted in meningitis or encephalitis, and 1,538 were fatal, according to the U.S. Centers for Disease Control and Prevention. But mosquitoes’ place in the limelight has faded some over time … until recently, when the mosquito-borne Zika virus began grabbing headlines around the globe. The Zika virus causes mild, flu-like symptoms in approximately 20 percent of infected people. The main concern among leading health organizations centers on a potential link between the virus and microcephaly, a birth defect associated with underdevelopment of the head and brain. While yellow fever mosquitoes (Aedes aegypti) are the primary carriers of the Zika virus, Asian tiger mosquitoes (A. albopictus) also can transmit the virus. Research suspects Culex mosquitoes are capable of being carriers, as well. “The best way to avoid contracting Zika virus and other mosquito-borne diseases is to take preventive measures when spending time outdoors,” says Dr. Jorge Parada, an infectious disease specialist and medical advisor for the National Pest Management Association (NPMA). Pest management professionals (PMPs) can work closely with customers to identify and eliminate conducive conditions such as standing water in flower pots, bird baths and grill covers, as well as holes in window and door screens. 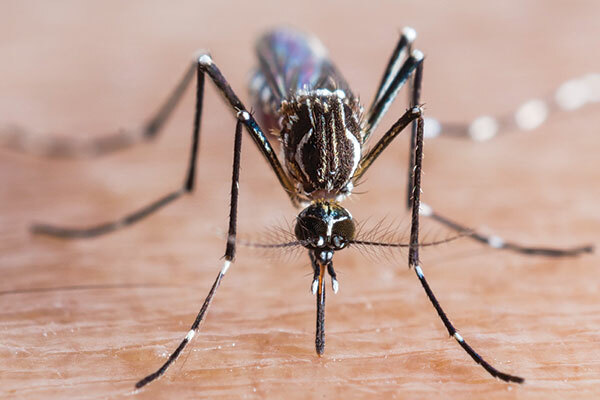 Thankfully, PMPs have an arsenal of mosquito management weapons — larvicides and adulticides; biological, biochemical and chemical solutions; and spray, fog and mist formulations — to protect public health. Opportunities abound for PMPs to add mosquito-management services and sales. According to our latest mosquito management survey, 7 percent currently do not offer such services (last year’s figure was more than twice as high), though 13 percent report their annual mosquito management revenue is six figures, and another 3 percent say theirs tops $1 million. Editorial Director Marty Whitford can be reached at mwhitford@northcoastmedia.net or 216-706-3766.